Known as the original Shark on ABC’s hit show Shark Tank Kevin Harrington is an internationally acclaimed speaker, coach, celebrity entrepreneur and one of the most successful business experts of our time. He has launched over 500 products and businesses, generating more than $5 billion in sales worldwide with iconic celebrities such as: Jack Lalanne, Tony Little, George Foreman, Billy Mays, the Hilton Family, the Jenner Family and the Kardashian Family. Since the 1980’s he’s been pitched more than 50,000 times by people looking to turn products, ideas and businesses into the next pop cultural phenomenon. Kevin’s real world knowledge and business acumen has landed him in the boardroom of several private and publically traded companies, seeking his unrivaled global business perspective. A passionate proponent of giving back to his community, he has personally coached hundreds of people on how to create the perfect pitch. Now, you can bring Kevin Harrington to your organization to motivate and equip your team with time-tested tools for scoring big wins in the business world. Kevin tailors his keynote speeches to your group, specifically targeting your areas of interests and industry. Each of his fast-paced, content-rich programs draw upon his own ups and downs, from growing up as one of six children, to attaining a high-profile career that has spanned four decades. Refreshingly honest and down-to-earth, Kevin gives you the real deal on handling both success and failure, along with practical takeaways for sustaining the willpower to make things happen. Aside from speaking to audiences across five continents, Kevin’s influence has reached over 100 million people through his multi-media presence and industry dominance. 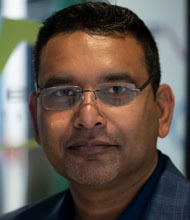 A prominent business thought leader, he has written over 100 articles – and appeared in thought leadership videos – for Forbes Magazine (Forbes.com) and Inc. (Inc.com), and has published acclaimed books like Act Now! 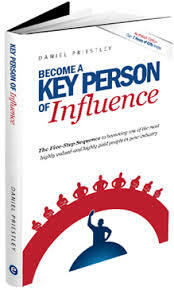 : How to Turn Ideas into Million Products as well as the Amazon best seller, The 5 Steps to Becoming a Key Person of Influence. 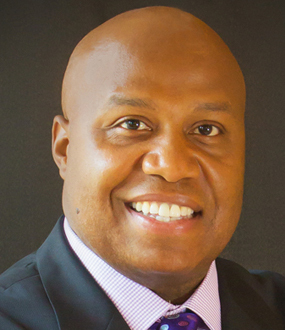 While he is perhaps best known as the Inventor of the Infomercial, pioneer of the As Seen On TV industry, and the investor from the Emmy Award-winning TV show Shark Tank, Kevin’s impact extends way beyond the small screen. In 1990 he founded the global direct to consumer organization and trade show, the Electronic Retailers Association (ERA), with Greg Renker, co-founder of the multi-billion dollar company, Guthy-Renker. Today ERA is the exclusive trade association to represent a global $350-billion direct-to-consumer market place in 45 countries. The true heart of Kevin’s career, though, has been helping people realize their business potential; showing them how to turn their dreams and ideas into products and businesses; and teaching them how to develop pitches not just for raising money, but for life. In addition to giving hundreds of pitches himself, this master salesman has assisted executives and entrepreneurs in crafting pitches for their employees and sales force, company boards, potential new strategic partners, key employee/executive acquisition targets and, of course, investors. Inspired throughout his life by the Paul J. Meyer quote, “Whatever you vividly imagine, ardently desire, sincerely believe and enthusiastically act upon must inevitably come to pass,” Kevin conveys a powerful message of perseverance and initiative, applicable to audiences everywhere. Overall, his legendary career has shown him that the one indispensable tool for everything meaningful in business, no matter the industry, is the perfect pitch and he can work with the people in your organization to get them there! 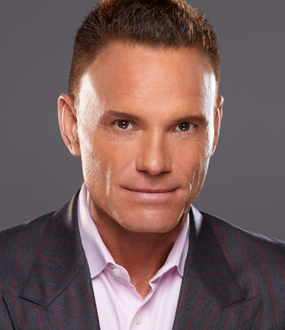 Kevin Harrington – Inventor of the Infomercial, Original Shark on Shark Tank and As Seen on TV Pioneer – is one of the most successful entrepreneurs of our time. In 1980 Harrington started The Small Business Center and Franchise America. Kevin, as a real estate and business broker, sold thousands of businesses and then offered one-stop services from accounting to insurance to advertising to finance and more. While watching television one night in 1984, Harrington noticed that sometimes the only thing on the screen were the color test bars that stations ran when they had nothing else to air, thus giving Kevin the idea to produce the industry’s first 30-minute infomercial to fill that dead air space, which is what coined him the Inventor of the Infomercial. Since then, he has been involved with over 500 product launches that resulted in sales of over $4 billion dollars worldwide and 20 products that reached individual sales of over $100 million. By 1990, Harrington was named one of the 100 best entrepreneurs in the world (by Entrepreneur Magazine). In the mid- 80’s he formed Quantum International, which grew to $500 million in sales selling products in 100 countries in 20 languages. He then formed HSN direct in conjunction with Home Shopping Network and soon after formed Reliant International Media. Kevin also founded As Seen on TV, Inc. and acquired AsSeenOnTV.com, the world’s largest web site featuring as seen on TV products. Harrington has worked with some of the biggest celebrities including Cee Lo Green, Kim Kardashian, Paris Hilton, 50 Cent, Jack LaLane, George Foreman, Frankie Avalon, Paula Abdul, Montel Williams, Chubby Checker, Hulk Hogan, Kris and Bruce Jenner, Tony Little, Billy Mays and many more. In 2009, Kevin was selected as one of the original ‘Shark Tank’ Sharks on the ABC hit show. As an innovator and pioneer in the industry, Kevin has been featured on over 150 Shark Tank segments over the last five years on both ABC and CNBC. He went on and founded two global associations – ERA (Electronic Retailers Association), which is now in 45 countries and Young Entrepreneur’s Association (now EO – Entrepreneurs Organization), which boasts, combined member sales of over $500 billion dollars. 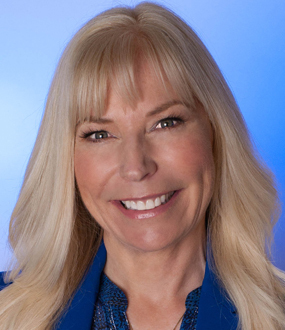 Harrington is on the board of University of South Florida (USF) entrepreneur programs, and teaches regularly. He has also been involved with Moffit Cancer Research, and is constantly giving back to the community. 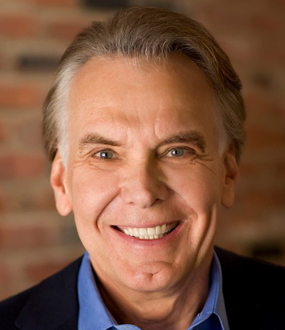 Harrington’s recent book, “Act Now: How I Turn Ideas Into Million-Dollar Products,” details his life and achievements in the direct marketing world, and his business was used as a class case study for 12 years at Harvard/MIT, illustrating the essential principles of grass-roots entrepreneurship. “The old media is defined by a few channels broadcasting to millions. The new media is millions of channels broadcasting to a few," explains Kevin Harrington as he details the challenges and opportunities offered by the new media revolution. Kevin provides customized keynote speeches that bring his wealth of entrepreneurship, investing and business experience to audiences around the world. Using real world current examples, Kevin will show you how to foster a culture of innovation within your organization; test your products and services before you invest in them, develop visionary leadership strategies to drive growth and how to overcome the pitfalls lurking for any successful business. A man who really has “been there and done that,” Kevin’s advice to anyone launching a new business venture or growing their business and brand is absolutely essential. Kevin’s keynote presentations are powerful and relevant making him one of the most in-demand speakers on the circuit today. He is a visionary with a knack for knowing what will sell and how to sell it. Considered by many to be on the cutting edge of innovation and business trends, Kevin can help anyone turn good ideas into a thriving business! In the increasingly competitive business world, what sets you apart from your competition? How do you stand out in a sea of seemingly endless options in the new economy? When inventors come into the market they have a variety of choices for taking their product public, yet thousands of entrepreneurs have turned to Kevin first, because they automatically associate his name with credibility, excitement and success. But Kevin didn’t become the go-to guy of product launching and electronic retailing by chance; he took a calculated series of actions that anyone can follow to position themselves as the authority in their area of expertise. Kevin will walk you through the steps he has used to help thousands of people shape their personal brand, break out of the crowd, and solidify their position as highly recognized, respected, and rewarded leaders of their fields. Discover how you can stop spinning in circles and make the leap to the next level of your career by owning your niche, capturing your value, and making a name for yourself. · Gaining recognition as an expert in your field or industry. · Building your profile through expanding your on-line presence via social media. · How to publish in multiple media outlets to cement your authority in your area. · How to tell your story while building your company brand and business awareness. · How to align your personal brand with your organization’s vision. · How to leverage your personal brand to launch businesses and advance your career. Ever since he disrupted retail in the 1980s with the invention of the infomercial, Kevin Harrington has turned hundreds of ideas into household names, but the “As Seen on TV guy” hasn’t remained on top of his game by staying in just one place. Times have changed and so has Kevin. With TV viewership decreasing by 50% over the past 12 years, he’s stayed ahead of the game and expanded his platforms, creating the “As Seen on TV” micro-websites and the lucrative StarShop. Thirty years after his big-breakthrough successes with the infomercial, Kevin is still considered one the best marketers in the world. Kevin is uniquely qualified to guide you and your company through the shifting marketing and branding landscape. With real world, current examples, Kevin will show you what to expect in the years to come, why the Internet is a double-edged sword, and how the transition to mobile and social media is changing the way people build and promote brands, interact with customers, and approach marketing campaigns. Kevin will share priceless lessons from his own ups and downs in the digital world; the challenges and opportunities that new technological developments and viewer trends pose to businesses and marketers; and proven strategies you can employ to seize those opportunities. Your team will learn how to cultivate an entrepreneurial mindset so that your organization will always stay on top of changing times. · How technology is shaping the future of marketing. · How to harness the power of mobile. · Building transparent brand identity that will resonate with today’s well-informed consumer. · Boosting your story power to captivate consumers. · Capturing mindshare in increasingly cluttered markets. · Effectively promoting your business through social media channels. · How to employ stealth strategies to supercharge your business through leveraging social media. As a young entrepreneur, Kevin tried to do everything on his own. He quickly found out that positioning an enterprise requires more than a single entrepreneur’s abilities; the best leaders surround themselves with the best talent from their respected fields to make extraordinary things happens. But how do you go about forming and uniting an all-star team where the whole is truly greater than the sum of its parts? How do you attract and retain the interest of top talent while ensuring that everyone comes together for a common cause? Having launched over 500 products and ventures, Kevin has spearheaded numerous teams and partnerships, experiencing successes and failures but learning valuable lessons from both. A master of networking, he’s founded two global organizations: the Young Entrepreneur’s Association (now EO – Entrepreneurs Organization) and ERA (Electronic Retailers Association), which he formed in a powerful collaboration with his industry competitor, Greg Renker. In this dynamic and entertaining presentation, Kevin gives you clear-cut strategies you can use to sharpen your networking skills, build meaningful relationships with peers and colleagues, and draw from those relationships later on when you are looking for collaborators to help you convert your vision into a reality. Whether you are from a small start-up or a corporate giant, Kevin will leave you with the knowledge to form optimal teams and alliances that benefit everyone involved. · Identifying individual strengths and ways that different people can work together. · Gaining competitive advantage and marketplace dominance by putting together top teams. · How to delegate to the right people. · Leading a team so the whole is greater than the sum of its parts. · How to lead by example and take your whole team to victory. · Aligning your team and organizational vision via social media. · Building strategic partnerships in the marketplace to accelerate business growth. Formats: Keynote, half or full day. It was one of the biggest moments of Kevin’s professional life. He had just stepped into Donald Trump's office and was about to take a seat when Donald cut him off, saying, “No you’re not sitting down! You’ve got 20 seconds to tell me what it is you’re here to pitch me and if your answer isn’t good enough you’re going to get out of my office!” An hour later, Kevin was still there, seated and discussing his idea with Donald Trump. What was his secret to success? He knew how to give an attention-getting perfect pitch up front, even in the most high-pressure situation. In a world where everyone is crunched for time and overwhelmed by distractions, it’s true that you only get one chance to make a good first impression; but luckily there is an art to doing it that anyone can master. One of the best salesmen in the world, Kevin Harrington delivers this fast-paced, high-content program delving into all the elements you need to craft the perfect pitch. Over the past 30 years, Kevin has heard over 50,000 pitches from inventors, entrepreneurs, and potential partners. An active salesman and investor, he is still in the trenches today, equipped with a continually expanding range of knowledge, experiences, and relationships unmatched by anyone else in his industry. Sharing tales from his time as a Shark, Kevin will show you what made Shark Tank’s 165 successful pitches stand out from the 45,000+ submissions that were left on the cutting room floor. A veteran from both sides of the pitching world, Kevin will thoroughly navigate you through the in’s and out’s of researching, creating, and tailoring the perfect pitch through an easy-to-follow step by step program, based on his own three decades of giving and receiving tens of thousands of pitches. · How to redefine the concept of “pitching” to fit multiple aspects of your life. · How to tease, please, and seize your audience in a matter of seconds, and afterwards prove what you say. · How to apply Kevin’s 10-step process to crafting and executing your perfect pitch. · What to include and what to omit from your pitch. · How to research your audience and tailor your pitch specifically to what they want to hear. · Getting inside your target audience’s psyche in order to make them say “Yes” to you. · The key competitive knowledge you’ll need to seal any deal. Top off this invaluable presentation with a once-in-a-lifetime opportunity to put it into practice, by participating in a Shark Tank Style Big Pitch Event presided over by Kevin Harrington, the man who has turned hundreds of products into multi-million dollar industries and taken on more pitches than any other Shark! Are you looking for a fast-paced fun way to publicize new products and services? Something that will create buzz, capture attention, and assure that entrepreneurs bring their A-game to the presentation floor? Entrepreneurial legend and original Shark, Kevin Harrington facilitates and takes pitches in this dynamic unforgettable event modeled after the hit television show that captivated millions of viewers nationwide, Shark Tank. The perfect companion to Kevin’s content-packed “Shark Tank Style/Big Pitch Keynote,” participants will have the unique opportunity to craft and deliver their perfect pitches for ideas and products in a high-energy and creatively charged atmosphere. Audience members are given the time to work on their pitches applying Kevin’s valuable steps and advice to their presentations. Then, they have the amazing once-in-a-life time opportunity to pitch to either just Kevin or, depending on the event organizers’ preferences, a panel of judges assembled by event organizers that features Kevin alongside other local experts, executives, or team members within the organization. Will someone in your audience pitch the next “Snuggie” or “Perfect Bacon Bowl”? No matter the outcome, participants will gain honest unbiased feedback about their idea and pitch that could make or save them tens of thousands of dollars in the future. Audience members will receive big payoffs in this fast-moving event that builds teamwork and camaraderie while receiving priceless exposure for their product or idea and a coveted consultation from an industry genius. Millennials graduating from college are entering a very different work world from the one their parents knew. With lingering unemployment rates, especially for youth, making a living is no longer about answering a want ad in the paper, but about pitching yourself and your bottom line, whether as a budding entrepreneur or the perfect candidate for the job. In a high-content and fast-paced program, entrepreneurial legend and original Shark, Kevin Harrington shows you how you can set yourself apart from the competition and give a teasing, attention-getting perfect pitch in even the most high-pressure situation. Known for his invention of the infomercial, Kevin has heard over 50,000 pitches from inventors, entrepreneurs, and potential partners over the past 30 years; however, his entrepreneurial career goes way back before he became a self-made millionaire. Growing up in a middle class family of eight, Kevin had already established two successful businesses in sealing driving ways and heating and air conditioning by the time he was a university student. Decades later with over $5 billion in sales for hundreds of products and businesses under his belt, he’s sharing his expertise with the upcoming generation of entrepreneurs and innovators. Take the opportunity to get game changing advice from one of world’s most sought-after entrepreneurs as you learn how you to craft the perfect pitch and position yourself to make things happen. This event includes the unique once-in-a-lifetime opportunity to pitch just to Kevin or, depending on the event organizers’ preferences, a panel of judges that features Kevin alongside other local experts, executives, or staff chosen by the organizers. No matter the outcome, participants will gain honest unbiased feedback about their idea and pitch that could make or save them tens of thousands of dollars in the future. Students will receive big payoffs in this fast-moving event that builds teamwork, camaraderie, and confidence while allowing them to network and develop competitive skills and connections imperative for life after graduation. · How to sell yourself or your idea to prospective employers, investors, or partners. · How to get inside your target audience’s psyche in order to make them say “Yes” to you. · The key competitive knowledge you’ll need to seal that deal. Formats: Half or Full day. It’s one of the most daunting tasks for aspiring entrepreneurs. How do you acquire the finances you need to see your business idea come to life in a vast battlefield packed with competitors all grabbling for coveted start-up or expansion funds? Where do you even begin? Seasoned fund-raising warrior and renowned Shark investor, Kevin Harrington breaks down this seemingly monstrous task with a fiery enthusiasm, giving you all you need to know about finding investors, getting your foot in their office door, and wooing them with the perfect pitch. Coauthor of The Maverick Battle Guide of Raising Capital and a companion series of 28 one-hour webinars, Kevin draws from his 30+ years of dealing with business ventures from both sides of the investor/entrepreneur relationship to demystify the process of raising capital. In addition to the various areas you can explore, including crowd-funding and strategic partnerships, there are millions of investors out there looking for the next big thing, but they’ll never know about you or your idea unless you make that happen. Kevin takes you step by step through the preparations for battle, making sure you develop the perfect pitch, networking strategy, credibility, and the right team to back you up. While many people mistakenly go into battle pitching about “me, me, and my business,” the Shark himself shows you how to talk to investors in a way they know you’re concerned about them and their investment. Sharing entertaining tales of his own spars on the money-raising battlefield, Kevin equips you with the tools you’ll need for victory, including key knowledge about your target investors, financial concepts and jargon they’ll want to hear or discuss, and time-tested approaches that will win them over to your cause. · Finding investors and identify their sweet spots. · Getting the attention of the investment community. · Creating the perfect investor pitch. · Reducing the amount of capital needed through forming strategic partnerships. It’s no secret that 90% of entrepreneurial ventures fail, so how can you increase your chances of being part of the 10% that succeed? High-profile entrepreneur and business executive Kevin Harrington has turned hundreds of products into million-dollar household names, but for every “Ginsu Knife” or “George Foreman Grill,” he had three projects that flopped or weren’t the money-makers he hoped for. With a 1 out of 4 success rate (strikingly higher than the industry average of 1 out of 10), Kevin shares his own personal system for executing and taking on ventures based on over 30 years of knowledge and experience. Honest and open about his own successes and failures, Kevin navigates you through his “7 Steps to Radical Success” paved with engaging videos, images, and behind-the-scenes stories from his days as a young entrepreneur, the infomercial business, and of course, the hit television show, Shark Tank. As the presentation progresses, Kevin provides in-depth information on every step in his system, illustrating each one with real-life examples while clearly relating them to the digital fast-paced world we live in now. Blending entertainment and powerful content, Kevin’s storytelling skills and contagious energy will equip you with the competitive knowledge, followable blueprints, and actionable takeaways you need to take your entrepreneurial dreams from imagination to reality. · Developing “curiosity overload” and identifying your valuable intellectual property. · Creating a powerful blueprint for fast business growth. · Raising capital to fund your growth. · Building the best team for your company. · Developing the perfect pitch. · Raising your profile within your industry. · How to form amazing partnerships. In a tough world where 9 out of 10 entrepreneurial ventures typically fail, Kevin Harrington has a remarkable track record of identifying and capitalizing on unique opportunities. For the past 30 years now, an average of 1 out of 4 projects that he’s taken on have been massive hits. So what’s this original Shark’s secret to success? While an entrepreneur at heart, Kevin never jumps head first into a deal; he always tests his ideas before he invests his capital. In this highly practical and rivetingly relevant program, Kevin guides you through the same systematic approach to retail readiness that rocketed him to a multi-million dollar success story and worldwide iconic status. He ties each step he takes to multiple outlets in the modern world, raising awareness about the multitude of options and resources that entrepreneurs and investors can utilize to properly test their product or idea before taking larger and possibly regrettable risks. Keeping it real, Kevin gives you accessible tools and objective approaches you can directly apply toward reaching and, when necessary, resetting and rebooting your goals. As an investor and entrepreneur, Kevin connects with people on both sides of the fence, addressing the concerns and stakes of each party while demonstrating proven methods of mitigating losses for everyone involved. Failure is an unavoidable part of the entrepreneurial game, but as Kevin proves from his own life, learning to fail faster and cheaper will guarantee you a win much sooner on. · Why most products fail in the marketplace. · Different types of product testing and how to apply them. · Choosing the right type of testing for your venture. · How to get testing funded. · How to utilize the time-tested CREATE system to boost creativity and get the most out of brainstorming sessions. · Creating the perfect pitch. · Building your success on failing fast and failing cheap. Intrapreneurship is commonly known as the cultivation of culture and practices within a company which empower and encourage employees to internally develop their own innovations and ideas into plans and actions that benefit the organization. In a world where disruption is the norm, there is one key component to staying ahead of the corporate curve, intrapreneurship: the practice of harnessing and channeling the entrepreneurial spirit of your employees to the benefit of your company. However, making such a drastic shift from old school business models to industry shaker is easier said than done. That’s why corporate giants like AT&T, UPS and Pfizer are calling on legendary entrepreneur Kevin Harrington to unleash their team members’ innovative energy and focus it into driving the company forward. In this insightful and empowering presentation, Kevin Harrington demonstrates how anyone, anywhere within a company can be an innovator and intrapreneur, regardless of title or position and, more importantly, how to foster a culture where innovation is everyone’s responsibility. Using real-world case studies, Kevin illustrates comprehensive strategies that will tap into the full potential of your organization’s #1 asset: your employees. Learn how to be a “disruptive leader” by empowering employees to be intrapreneurs; makes smart calls on how to invest company funds; attract and retain top talent; and leverages staff to gain competitive advantages and propel profits. In the full-day program option, Kevin will facilitate and organize entrepreneurial brainstorming and pitching sessions where leadership and employees break into teams to create and pitch new ideas. And it doesn’t stop there. Kevin takes your organization step by step through his IDEATION brainstorming methods, how to craft the perfect pitch, and sure-fire ways to test before you invest. Let a global icon that has picked multi-million dollar winners out of more than 50,000 pitches teach you and your company how to disrupt instead of being disrupted. · Being a disruptive leader who fosters a culture of game-changing innovation. · Creating the motivation and infrastructure crucial to mobilize your employees’ inner entrepreneur. · Managing a team of intrapreneurs and focus their efforts for optimum results. · How to create the perfect pitch to achieve your business goals. · How to easily and efficiently test employees’ ideas before you invest. · Cultivating and promoting a vibrant atmosphere conducive to spurring, developing, and executing new ideas and solutions. · A practical approach for empowering employees to become intrapreneurs for driving profits and creating competitive advantages for your organization. · How to develop an atmosphere to create success. Formats: Keynote, Half and Full Day. One of the things I pride myself in, is my ability to define my message and make it very applicable to the group that I’m talking to. HARRINGTON: It always depends upon the group that I’m talking to. One of the things I pride myself in, is my ability to define my message and make it very applicable to the group that I’m talking to. When I do corporate presentations, we talk more about intrapreneurship, ideation and coming up with new ideas inside the corporation. We talk about the overall corporation, and helping to drive new and future programs that can be big ideas for the future of those corporations. When it’s an entrepreneurial group, I have a five-step program on how to expand the business and brand the business in a more significant fashion, topics might include: business branding, business building, and generating new customers. It all depends upon what the audience is looking for. SPEAKING.COM: What special prep work do you do prior to an event? How do you prepare for your speaking engagements? HARRINGTON: First of all, I do a lot of research on the industry that I’m going to be speaking to. For example, I spoke at the ATM annual conference on ATM machines. I did weeks of research on what’s going on in the industry and learned that there were some issues in the industry getting away from the cash side of the business. So, as I look at the challenges that an industry faces, I immerse myself and put myself in the shoes of the people who are sitting there listening to me. I want to feel the pain that they feel. I also feel the upside of some of the things that are going on. It is important for me to understand what they are going through as an industry, and to understand what kinds of opportunities might also exist. SPEAKING.COM: Have you had any particularly memorable speaking engagements or unusual situations arise on the road? HARRINGTON: One of the really cool speaking moments was when I did a major event for about 100 senior executives at AT&T in Dallas. Before I even got to the airport I received a phone call that they wanted to have me come back a few weeks later for another event where they had 300 of their senior executives getting together. As a speaker, when you get a chance to know that you did a great job and you are booked again to come back and speak to the same place – that’s when I know I’ve made an impact. What’s probably the most memorable is getting a lot of accolades. Happy customers are the key outcome I look for when speaking. That is when you know you’ve done a good job—when they’re happy. As far as unusual situations, there are always some travel-related unusual situations with planes, trains, and automobiles breaking down and things like that. I always try to get in a day ahead of time because you just never know. You should plan for certain things to break down from a travel standpoint. I definitely connect very well with people that have pride in owning their own business. HARRINGTON: I feel that I’m really good with business owners, not necessarily high-level entrepreneurs. I’m really good at trade shows and chambers of commerce events, presentations to business owners, and with people who are running the business. I definitely connect very well with people that have pride in owning their own business. This is why in the corporate world I’ve adjusted my message to become more intrapreneurial now. As an entrepreneurial message, I definitely have an affinity towards business owners who own their own business and have struggled with the ups and downs of business ownership. HARRINGTON: I really was not a speaker until after appearing on Shark Tank. After Shark Tank, I started getting literally tens of thousands of phone calls from people. They would say, “Can I get ten minutes of your time?” Think about it: how do you give 50,000 people ten minutes of time? By the way, they say they want ten minutes, but what they really want is more like an hour. So, how do you give 50,000 people an hour of your time? You can only do it in a group setting, and that’s ultimately what happened. I couldn’t go one-on-one with 50,000 people, but I’ve gotten out to those 50,000 people through my messaging, through the Internet, as well as through face-to-face group meetings. Last year I did about 80 events and this year I’ll do even more. In some of these events I’ve had audiences of around 10,000 plus people. The power of numbers is really what makes it exciting for me. There’s no greater thrill than to get in front of a great audience. I like to meet with crowds and have a message that resonates with that crowd. You can see it in their eyes, you can see it in their passion, and you can see it in their response, like when you get a standing ovation in front of a group of 10,000. That is an exhilarating feeling. When I was on Shark Tank, 20 million people were seeing me every week, but we would shoot in a studio with just a camera crew and a production crew, so we didn’t really get a chance to see, feel, or touch those who were watching the show. Through live speaking, I have a chance to actually go out and connect with people on a one-on-one basis around the world. What it takes to build a successful business. Key traits of a successful entrepreneur. Finding and building a good team. "An entrepreneur has a certain area of expertise, but they need to fill in the gaps with other strengths that are needed to build their business." These are just a few short excerpts from the many raving testimonials Kevin receives from clients. We have included a full testimonial letter below also. 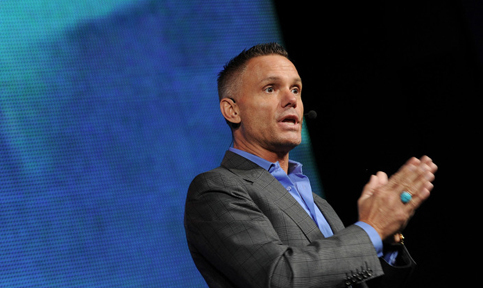 “Kevin Harrington exceeded our expectations and made our luncheon an unforgettable experience. Kevin’s message and keynote address provided the entrepreneurs and the city of Chattanooga an unforgettable glimpse into the mind of a brilliant and self-made entrepreneur. “Kevin’s innovative mindset is brilliant! His recommendation of our utilizing AT&T U-verse television content and AdWorks advertising solutions to market our newly developed Apps was a major WIN at our conference. “Everything went very well. Kevin was really great to work with. Everyone really enjoyed his presentation, and we had a full house at both events! All in all a great success! “Kevin is not only a brilliant entrepreneur and businessman, but he is also one of the sharpest and brightest business minds I’ve encountered. His business tips and strategies on how to take your business to the next level were clear, clever and current. Our Audience that consisted of local business owners, entrepreneurs and professionals leaned in to hear his passion-filled, fresh perspectives on business trends, product development, advertising, marketing, and branding. His presentation was filed with bold and relatable business narratives of his and others success stories on products that we have all come to love. infusion, specialty pharmacy and oncology markets, bringing together customers, employees, suppliers and channel partners. Kevin was the featured keynote speaker on Thursday, January 19th, and the moderator for the Pitch Tank, which brought together four companies seeking venture capital in the healthcare/technology space, evaluated by a panel of healthcare industry experts. The conference more than doubled its participants from the previous year, in part because of the teaser featuring Kevin as a keynote speaker, along with his Pitch Tank panel. The conference received one of the highest ratings for a conference such as this and Kevin’s segment was not only the anchor for the conference, but also stole the show with respect to his personal energy, enthusiasm, dynamism and knowledge of the healthcare technology realm. The pre-conference preparation and setup for the industry panelists were professional and thorough, down to the smallest detail. While there was some apprehension on the panelists part as to how this new format would play in front of such a diverse audience, Kevin’s preparation, attention to detail and subject matter expertise instilled in each of the panelists a great sense of confidence and excitement. The buzz throughout the conference was straightforward and simple – “We can’t wait to see the Pitch Tank!” – and the attendees were not disappointed; in fact, they were thrilled beyond their initial expectations. The energy in the room was electrifying from the attendees to the companies pitching their products and the panelists asking their pointed questions. Kevin moderated with a sense of humor, balanced with a level of understanding and respect for the nervous participants; while reigning in the panelists to ensure that they focused on the key attributes of each company’s value proposition and business model. It is important to note that, while Kevin exhibited the star power he is known for, he was both gracious and generous with his time and attention, as he assured everyone had a chance in the spotlight, becoming stars in their own right at the conference. Kevin and the Pitch Tank were such a success that he is being invited back next year to start what we hope will be a longstanding tradition for our conference; and we have already given referrals to many of the conference attendees who would like to utilize Kevin’s services in the future. It is rare in today’s business world for someone who is as accomplished and successful as Kevin to be both humble and giving, so that other people receive the credit and the accolades for all of the behind the scenes, pre- and post-production. Kevin’s onstage presence enabled the company to “lead at the edge”; combining both information and entertainment in a way that brought the conference together and provided a commonality for bringing our “future forward” in the evolving, technology-centered healthcare industry. – Christos M. Cotsakos, Ph.D. The Ginsu Knife, the Great Wok of China, the Food Saver, Tony Little′s Ab Isolator—all have sold millions and have become household names thanks to Kevin Harrington′s insightful vision to bring the traveling salesman′s pitch to television. Since the late 1980s when Harrington′s first infomercial aired, the extended commercial, or infomercial, has become a social institution and an intriguing way for anyone with drive, determination, and a good product to become wealthy beyond his or her dreams. Some people take life as it comes; some grab it by the ears and shake and shake. Kevin Harrington is one of the shakers. When he has an idea, he ′acts now!′ and he doesn′t get discouraged by challenging situations—he finds a way around them. The story he tells in Act Now! is partly about his role in bringing about changes in the industry and the business methods, marketing tactics, and strategic decisions he′s made along the way. Budding entrepreneurs, creative inventors, and ambitious businesspeople will reap the benefits of Harrington′s insights—how he chooses his products, what criteria he demands of his infomercials, and the details surrounding his choices in spokespeople, timing, and synergy.